Sandy has more than 30 years of successful public accounting experience. She specializes in the financial needs of privately held businesses through a wide range of services, including accounting, business consulting, tax planning, succession planning, entity structuring, financing, and business cash flow management. Gifted at explaining complex financial and accounting issues in terms that people understand, she is a creative business analyst. 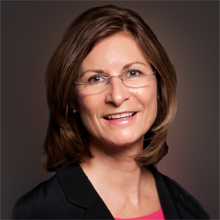 Prior to joining REDW, Sandy was the owner and managing principal of Abalos & Associates, a full-service, award-winning Phoenix-based CPA firm she founded in 1981. In November of 2012, Abalos & Associates merged with REDW and Sandy joined the firm as Principal and head of the Tax practice in Arizona. Sandy is currently serving as Principal-in-Charge of REDW’s Phoenix office. Because of her experience as a successful business owner, Sandy has the insight and passion for helping entrepreneurs and privately held businesses achieve their dreams. As a delegate to the White House Conference on Small Business and through her continuing efforts, she has championed issues in taxation, independent contractor status and estate tax reform. Sandy has testified before Congress on numerous occasions and advises congressional officials about the impact of tax legislation. Sandy is a former member of the Small Business Administration’s National Advisory Council and the IRS Electronic Tax Administration Advisory Council. While serving as the SBA’s Region IX Tax Chair of the White House Conference on Small Business, she was credited with playing an instrumental part in the passage of the Small Business Jobs Protection Act. Sandy is a Certified Public Accountant. She is a member of the Arizona Society of Certified Public Accountants and American Institute of Certified Public Accountants. Sandy is a sought-after speaker on issues impacting the business community, and has a record of public policy leadership, business excellence and community effectiveness that is recognized on a local and national level. Sandy is a member of the small business leadership council of the Phoenix Chamber of Commerce and is very active in Rotary International. She has led community service efforts with several Phoenix organizations, including the Upward Foundation, St. Mary’s Food Bank Alliance, and Rotary International.